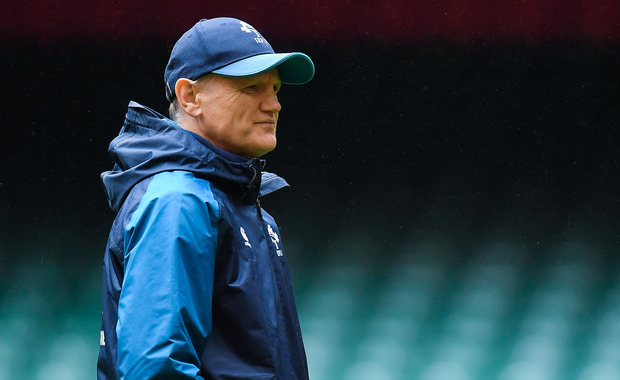 Joe Schmidt has expressed his annoyance with the media coverage of Ireland team news, saying that Wales were given an advantage by his line-up being published ahead of the official announcement. The IRFU usually release the team on the Thursday before games, with media outlets sometimes publishing stories before that with news on who may be selected. An article appeared ahead of Ireland's trip to Cardiff that reported that Sean O'Brien and Tadhg Beirne were set for unlikely starting roles, something that Schmidt criticised after the comprehensive 25-7 defeat. "One of the things for us which is probably frustrating for us is that Gats knows our team before time," Schmidt said. "It didn’t help with the preparations. That’s always a frustration for us. "At the same time, these two teams know each other so well, it is like a sibling rivalry almost. It will be a bit like that with Scotland for the first game [at the World Cup] because the players know each other so well. So when you know who is going to be where, it is a real advantage." "It was public. You could see it," Schmidt added of the Irish team news. "It is those fine margins. You kind of want to keep a bit up your sleeve as long as you can but at the same time that is not the reason we lost." After finishing the 2019 Six Nations with a second heavy defeat of the campaign, Schmidt didn't attempt to disguise his hurt. "There is no way we wanted to come here and lose and we didn't want to lose at home to England either," Schmidt said. "So we are hurting, it is a hollow feeling when you lose a game like that and it is frustrating but if, in hindsight, in November, we can say, 'I am glad we did and I am glad we tried to build and widen and lay a foundation' then, you know, we have three of the last five of these things (Six Nations) and we got that Grand Slam last year."